Just two weeks after the official formation of a department dedicated to adapting its franchises into movies, Ubisoft has declared its plans to bring three of its biggest franchises to the big screen, and one to the small screen. The Paris-based developer, has announced that it plans to bring three of its biggest franchises to theaters: Assassin’s Creed, Splinter Cell and Ghost Recon. It is also developing 78 episodes of the toon-like Raving Rabids, each of which will run seven minutes. The company is looking for an American distributor to either air the series on TV, or online. “Our strategy is not to diversify but to bolster the appeal of our franchises — that’s why we want to make sure our films will reflect the brands accurately and consolidate our fan base while expanding beyond the games’ primary target audience,” Jean de Rivieres, senior VP of international marketing and distribution told Variety. Each of the franchises has sold well into the tens of millions of copies. The best selling of these franchise is Assassin’s Creed, which has sold nearly 30 million copies. Assasin’s Creed is the story of a millennium long war between a society of assassins and the Knights Templar. 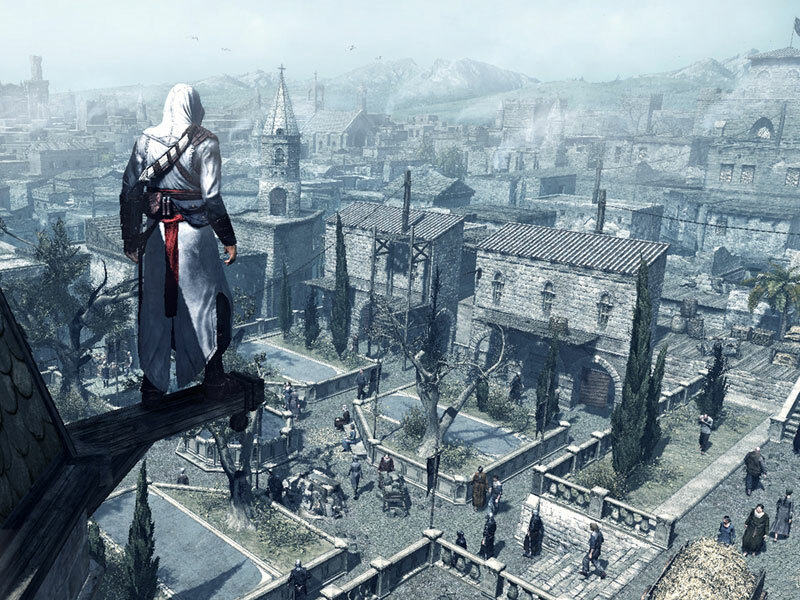 The games feature a modern day story line, but so far the bulk of the action has taken place in Renaissance Italy and the Middle East during the Crusades. The series has produced seven games, with an eighth due in November, as well as several books, comics, and short videos designed to expand the universe. Both Splinter Cell and Ghost Recon are military themed properties, sold under the Tom Clancy banner. Splinter Cell stars Sam Fisher, a special agent focused on anti-terrorism missions, with a unique ability to move deep into enemy territory without being seen. Ghost Recon is set in the near future and follows an elite team of soldiers using the most cutting edge technology. “We want to keep ownership, retain control over the film content, and we’re open to work with studios on the development of our projects, and eventually collaborate on the pre-casting, pre-budget and script.” The head of Ubisoft Motion Pictures, Jean-Julien Baronnet said. According to Baronnet, several Hollywood studios have already expressed interest, and the group will begin taking meetings with studios in the coming weeks. “We will have a script ready by the end of the year,” de Rivieres said.